DRAFT GUIDELINES ON urban development and building heights facilitate property developers at the expense of the public, An Taisce has said. The charity works to preserve and protect Ireland’s natural and built heritage. A public consultation period by the Department of Housing, Planning and Local Government in relation to the guidelines closed on Monday. Ian Lumley, An Taisce’s advocacy officer, said the draft guidelines are “formulated in a manner that epitomises the ‘developer-led’ approach, facilitating property owners at the expense of the public who suffer the serious consequences of bad planning policy”. He referred to the guidelines, which can be read here, as a “developer’s charter”. In its submission, An Taisce said the guidelines are “fundamentally unsound in planning terms as the premise on which they are based is flawed i.e. that in order to achieve higher density in urban areas, buildings of six storeys and higher are required”. The charity said attention should be given to achieving higher densities by increasing the number of units per hectare, and stated that it would be “inappropriate” to introduce blanket height guidelines. Lumley said it is “of great concern” that the draft guidelines “undermine long-standing objectives to protect the skyline and inner-urban areas of historic towns and cities”. Other groups have argued that building height restrictions need to be relaxed, particularly at a time when demand so acutely outstrips supply in many areas. 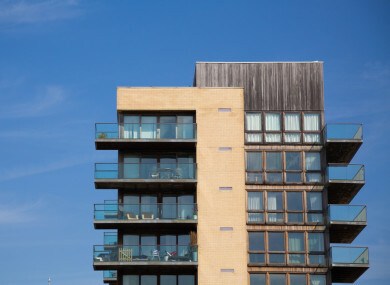 In its submission to the Department of Housing, the Irish Business and Employers Confederation (Ibec) welcomed the fact that the draft guidelines prioritise increased building height. The guidelines note that traditional building heights in most urban areas in Ireland “vary somewhat within a generally low-rise range”. Ibec said this assessment “understates the low-level of building height generally across the country and more worryingly in our key urban centres”. “We lack a common a common definition of ‘low-rise’. What is low rise in Dublin, for example, is far lower than in other cities that local authority planners and opponents of increased height put forward to justify their position. “Average building heights in Dublin are lower than other cities across Europe, including comparably sized cities such as Amsterdam, Copenhagen, and Stockholm,” the organisation stated. Ibec said the approach taken by local authorities in relation to building height is “inconsistent and incoherent”. It noted that some developments in Cork city and Sandyford are taller than projects in the Dublin City Council area. Blanket restrictions on height in local development plans have resulted in sites within areas in need of redevelopment and regeneration being underutilised, sterilised or inadvertently making a proposed development financially unviable. Ibec stated that local authorities within metropolitan city regions “should be mandated to prepare Tall Buildings Strategies” – detailed urban design studies which would help to identify locations where tall buildings would and would not be appropriate. It noted that such strategies are “used effectively in the UK and the Netherlands to balance expectations of height, density, visual impact, heritage impact, regeneration and public realm improvements”. In relation to height restrictions, the draft guidelines note that traditional building heights in most urban areas in Ireland “vary somewhat within a limited and generally low-rise range”. This range goes from two storeys in many suburban locations, frequently in the form of housing estates, moving towards building heights of three, four or more storeys in more central urban areas, but generally not more than 6-8 storeys in the central urban areas of the cities and larger towns. The draft guidelines note that the eight-storey limit has “been exceeded in only a limited number of locations”. These locations have generally been identified in strategic planning policy terms as being suitable for buildings that are significantly taller than the prevailing and/or traditional building heights as in the case of strategic development zones and high-capacity public transport nodes. The report states that development should include a mix of two, three and four-storey properties which integrate well into existing and historical neighbourhoods. It adds that buildings of four stories or more “can be accommodated alongside existing larger buildings, trees and parkland, river/sea frontage or along wider streets”. Lumley said An Taisce thinks the most suitable way to safeguard the “character and quality” of historic sites while at the same time curtailing sprawl “would be to maximise land use and identify suitable sites outside the historic core (eg. large-scale institutional lands, disused railway yards) for higher density urban development”. He said the proposed guidelines would have an impact not just on Dublin and the four main regional cities but also on larger towns like Ballina, Clonmel, Monaghan and Wexford. This position contributes to urban sprawl; prioritising the character of a few areas over developing the green belt within and outside the city. Ibec noted that other international cities are also dominated by Georgian properties but that “comparative Georgian cities, such as London or Boston, have higher average building heights than Dublin”. “Closer to home, Limerick has earmarked its Georgian quarter to spearhead its ambitious regeneration initiative for the city,” the submission stated. It added that the requirements of commercial and housing developments within cities must be balanced. When asked for comment, a spokesperson for the Department of Housing said all of the submissions received as part of the consultation process “are being compiled and will be given due consideration as soon as possible”. Email “Draft guidelines on urban development 'facilitate developers at expense of public'”. Feedback on “Draft guidelines on urban development 'facilitate developers at expense of public'”.